Florence Crittenton’s work is made possible by the talent, dedication and inspiration of our people. Our team brings a wealth of experience and strives to provide exceptional programs in a culture where everyone is encouraged to give it their all. Together, we are transforming the lives of young families and building stronger communities. Barbara Burton first joined Florence Crittenton in 1998 was hired as Executive Director in 2006. Her passion has been to see opportunity given to all young parents, regardless of income, age or resources. She holds a Master’s Degree in Nonprofit Administration and comes from a business background. After working in this field for nearly 20 years, she has seen infants born at Florence Crittenton who are now graduating from high school! “it is fantastic to see these children growing and thriving. In addition to her work at Florence Crittenton she is a member of the Montana Child and Family Services Advisory committee, the Best Beginnings Advisory Committee and several other advocacy groups. She spends her spare time in the Mountains with her husband and two rambunctious Labs and is an obnoxiously proud grandmother and mother. Andrea Holmes serves as Florence Crittenton’s Director of Strategic Growth and Programs. 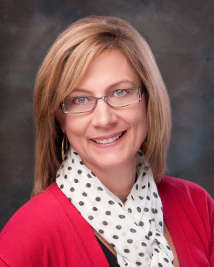 Andrea has 14 years experience serving many professional roles in areas related to education; trauma-informed organizational development; trauma-informed educational supports; childhood traumatic stress; complex trauma; early development and attachment; suicide prevention; and management in interventions and supports for children and their families. 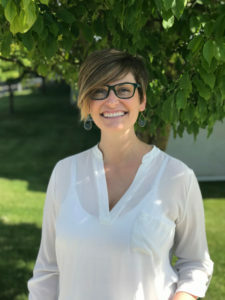 Prior to joining the team at Florence Crittenton, Andrea worked at the Institute for Educational Research and Service’s National Native Children’s Trauma Center at The University of Montana providing training and technical assistance to schools and community agencies in Montana and across the United States. She has a M.Ed. in Curriculum and Instruction/Psychology from the University of Montana and holds Teaching and Special Education Teaching licenses. Andrea’s enduring passion to build sturdy foundations of support for young children and their caregivers is what brought her to Florence Crittenton. She is a Montana native and enjoys spending time in the pristine mountains, rivers and lakes across the state. Ben just recently joined Florence Crittenton’s team and brings a wealth of experience to the agency. Ben will be working in our Outpatient treatment services area and is currently licensed through the state of Montana as a Licensed Addictions Counselor and has been in the field of addictions for almost 30 years. Ben is a Montana resident and is originally from the town of Browning, Montana and is an enrolled member of the Blackfeet Tribe. He practices a life of recovery as he has been clean and sober since October 1993. Prior to joining Florence Crittenton Ben primarily concentrated in working with adult populations but has also worked in the academic arena as a middle school and high school counselor. 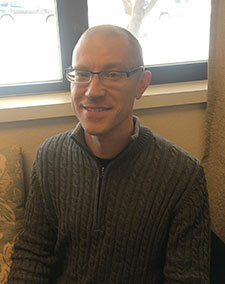 Outside of work Ben enjoys physical fitness, reading, artwork, and spending time with his son outdoors. Ben’s favorite food is Latin food, and his favorite place to one-day visit is either Ireland or England. Ben’s ultimate dream is to one day see the entire world live in peace and never see another child experience harm, hunger or pain. Bob joined Florence Crittenton in 2018 and serves as our Medical Director. Bob has practiced in Helena for over 23 years both in private practice and on a contract basis with other agencies. 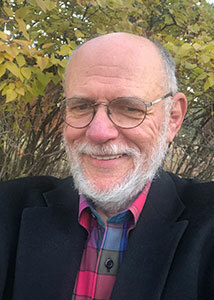 Most recently Bob worked with AWARE, Inc. and prior to that he was a psychiatrist for the PACT (Program of Assertive Community Treatment) at the Center for Mental Health. Bob has extensive experience in both public and private psychiatry including inpatient, outpatient, consulting and addiction psychiatry. He has also held faculty appointments at the University of California, Davis and at the University of New Mexico. He holds a Bachelors degree in Music, a Masters in Computer Science and his Medical Doctorate from UNM. In his spare time Bob enjoys music and sings in the Helena Symphony Chorale as well as taking occasional parts in Helena’s local Ballet Company. He is an avid private pilot and enjoys flying kids in the Young Eagles Program. Bob is excited to draw on all the skills and experience he has accumulated during his career to help the young families at Florence Crittenton. A lover of words and people, Brittney’s two favorites align in her role as the Senior Development Manager at Florence Crittenton. Brittney writes grants for FCHS, and works with local business to ensure that they are able to meet their philanthropic goals. Brittney believes in the infinite power of young women and is passionate about the idea that every family deserves a chance. A native of Wyoming, she fell in love with Montana during her undergraduate studies as a GRIZ, and is so happy to call Helena home. She and her husband Jeff recently welcomed their baby girl into the world, and are enjoying all of the wondrous moments that brings. Brittney has a penchant for fabulous shoes, loves to travel and she can be found curled up with a good book, or out on the hiking trails with her pup. 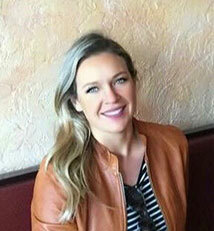 Carrie joined Florence Crittenton in March, 2010 as the Grants Officer. She quickly fell in love with the work and the organization and moved to the Development Director in 2011, a position she has held since. 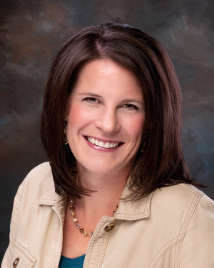 Prior to her time here, Carrie was the Education Coordinator for the Montana Hospital Association. Her extensive experience in development work and project management includes time with the Helena Symphony, as well as the Assistant Director of Development and Director of Gameday Operations with the Montana State University Athletic Department in Bozeman. Carrie holds a Business Marketing degree and minor in Small Business from MSU-Bozeman, Go Cats! She is passionate about ensuring every family has the opportunity to raise their children in a loving environment. Raised by an engineer and a scientist, she loves the “business side” of connecting this passion with partnerships across the state. Carrie is a Helena native and enjoys raising her two daughters with her husband back in her hometown. 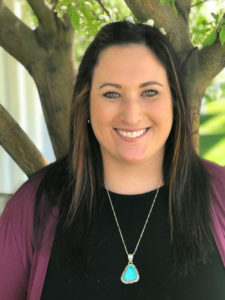 Cristina Fowler has been one of the residential therapists at Florence Crittenton Home and Services since April 2016, working with pregnant and parenting woman in the residential programs. Cristina began her social work experience in Missoula working at the YWCA Planet Kids, where she supported safe exchanges and supervised court ordered family visitations. After relocating to Helena, Cristina joined Florence Crittenton as a clinical intern in 2015, where she not only focused on the clinical aspects of care for young mothers and their families, but worked in direct care services. Through her work at Florence Crittenton Home and Services, Cristina not only found the work to be compelling, but an environment truly dedicated to helping families through their individual challenges as well as a team that focused on individual’s strengths. Cristina’s compassion to help young woman and their children live positive, healthy, and successful lives lead to her becoming a member of the Maternal Mental Health Collation helping to advocate for woman’s resources and mental health. Cristina has received training in trauma informed care and believes in meeting clients where they are in order to formulate successful treatment plan goals. 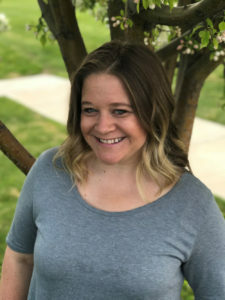 Cristina holds a bachelor’s degree in Psychology from the University of Montana, Master of Arts from the Chicago School of Professional Psychology, and a Masters of Social Work from Walla Walla University. 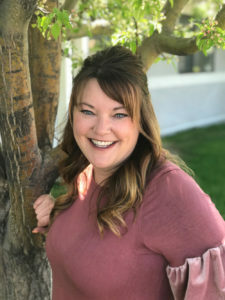 Cristina is a certified Social Work Licensed Candidate in the State of Montana working under supervision towards becoming a Licensed Clinical Social Worker. Liz’s journey to Florence Crittenton began with a cattle drive vacation, a rattlesnake and a cowboy! 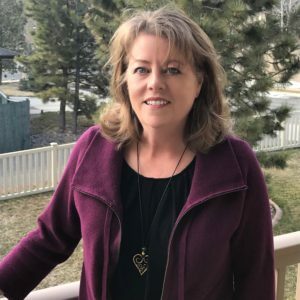 Having lived for 30 years in London working in the technology field she made the move to Montana and found her passion doing work that has meaning and playing her part in helping transform the lives of young families. Today she is married to the cowboy and has 2 beautiful children and a badly behaved mutt. In her spare time she enjoys hiking in the mountains, camping, boating, a nice cup of tea and some English chocolate. Emily became a mom at age 31 and in those beautiful, emotional, difficult first weeks, her bleary eyes were opened to the monumental change that is motherhood. Having worked at Florence Crittenton for two years before this, she knew how resilient and strong our young mothers and families were, but the title of “mom” gave her new wisdom to realize how brave our moms are to forge ahead so young and often without the built-in supports that life had afforded her. (True story: through tears during week two of her child’s life, she sobbed to her husband, “our moms are so brave!”) She came back to work resolved to cheer our young families toward their personal victories. Emily is passionate about doing work that matters, which makes her five years here a celebration, where she gets to share the larger vision of Florence Crittenton’s approach with excited volunteers as well as work hands-on with clients in the residential program and the staff “on the ground.” On the job, you might find Emily teaching parenting classes, coaching staff in the moment to utilize Love and Logic® techniques, calling volunteers to round them up for special projects or catching up with long-standing baby rocking volunteers. Jane’s favorite Maya Angelou quote is, “I’ve learned that people will forget what you said, people will forget what you did, but people will never forget how you made them feel.” A SafeCare Home Visitor, Jane is passionate about supporting families through empowerment and advocacy. Jane changed careers 18 years ago, to follow her passion and feels privileged to be allowed intimate access to the lives of others. Since then, she has worked and volunteered as an advocate, managed a crisis and suicide hot line, a safe house and a parenting educator. Her experience and training include child development, domestic and sexual violence advocacy, human trafficking, violence intervention, QPR (suicide prevention), and ACEs (Adverse Childhood Experiences). Having grown, changed, and overcome some difficult times, she believes in the power of family, healthy support and the value and worth of every person. Jane believes resilience is probable, words are powerful and world peace is possible. Jane is most proud of her two children and four granddaughters and is happy to be in Helena where they all live. Jen’s passion for children began at a very young age. As a little girl anytime she was asked what she wanted to be when she grew up her answer was always the same; “I am going to be a mom when I grow up.” Little did Jen know that her goal of becoming a mother would happen much sooner in her life than she anticipated. In fact, she was only seventeen and a senior in high school when she found out she was expecting her first child. Jen graduated high school married, and with an infant in her arms. In many ways, her goal that she set years before as a young child had been achieved. She had become a mother, and the joy that it brought to her life was immeasurable. However, it didn’t take long for Jen to realize that her passion for children ran deeper than just parenting her own. By the time she was twenty-five, Jen and her husband had four children. She continued working with children and families in a variety of atmospheres, primarily focusing on early childhood education. Working with families opened her eyes to the fact that every parent struggles, questions their ability; and many days feel as if they are failing. If additional factors such as; single parenting, teen parenting, addiction, poverty, or abuse are present the task of raising children and believing in yourself as a parent is often overwhelming. In 2013, Jen realized that her passion wasn’t working with children, it was working with families and helping parents break generational cycles, and to provide hope in the darkest places. She decided to continue her education and earn a degree that would allow her to work with families and young children on a deeper level. 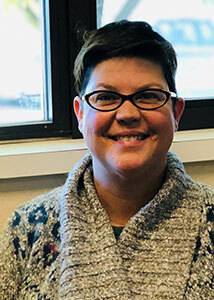 Ms. Burckhard began her work at Florence Crittenton in 2015; providing in home education, parenting support, and vital resources to Helena community families and their children ages 0-5. 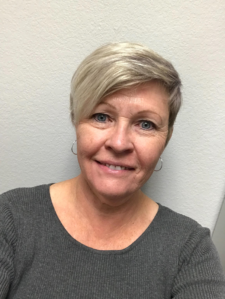 She is also one of three certified SafeCare Trainers in the state of Montana, providing training, guidance and support to other home visitors who provide services in their respective communities across the state. Jen is excited to continue many more years of supporting Florence Crittenton’s mission to ensure all families have the best start and are able to thrive in a demanding world. Jolene Van Valkenburgh is the Program Manager/ Case Manager for the Residential Programs at Florence Crittenton Homes and Services. Jolene joined the Florence Crittenton team May of 2017, and found working with pregnant and parenting women rewarding. Jolene finds fulfillment in connecting clients to comprehensive resources and advocating for individuals and their families. 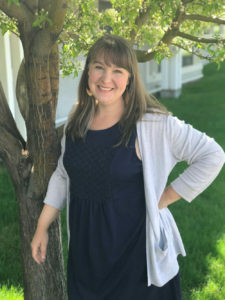 Jolene brings 18 years of experiences from work at the Montana Development Center, Alternative Youth Adventures/ Youth Dynamics Inc., Acadia of Montana, and Intermountain Children’s Home. Her experiences spans from direct client care, supervisory roles, school base services, to managing residential programs at Florence Crittenton Home and Services. Jolene is a Certified trainer with Crisis Prevention Intervention, trained in trauma informed care, and is a Licensed Foster Care provider. Jon comes to Florence Crittenton after fourteen years in public libraries. Working in libraries gave Jon the opportunity to help others while being around the books he loves. Along the way he gained experience with computer programming, content management systems, and other aspects of website development. As Database Management Specialist, Jon coordinates Florence Crittenton’s data collection and reporting. He’s glad to be supporting staff and clients by helping to improve outcomes and meet funding requirements. He holds degrees from Michigan State University, Wayne State University, and Lesley University. He’s a committed runner and avid reader who has published several short stories. After working many years in Human Resources in Montana State Government, Julie made the decision to pursue more meaningful work supporting Florence Crittenton’s mission. She’s been working with us for nearly 4 years, serving as our Human Resources Manager. Even though her work is ‘behind the scenes’ supporting employees, Julie believes that society has a lot of work yet to do, to support young women/children, their mental health, and homelessness. 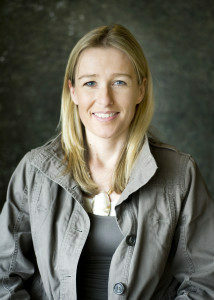 Julie comes from a large close-knit family with 7 siblings. Julie, her husband and daughter enjoy everything about being in Montana’s outdoors. Micaela is a Lead Teacher at Florence Crittenton Preschool. Micaela graduated from Montana State University-Bozeman in 2014 with a BS in Early Childhood Education. Since graduating, Micaela has taught preschool in various programs in Tennessee and Montana. She is a strong advocate for family services being a leading part of the preschool program. Micaela believes “when you start a child in preschool you don’t just enroll the child, you enroll the family”. Micaela is a firm believer that parents are their child’s first educators and that preschool is an extension of family driven learning. Having parents be an active part in a child’s education is an important partnership. Micaela is excited to be a part of the Florence Crittenton team and to bring her education and experience to the classroom. Michelle received a BA degree in Art, an MA in Spirituality and Creativity, and a certificate as a Montessori pre-primary teacher. One of her favorite roles is that as a mother to her two teenage sons. Once her sons began school, Michelle thought it would be rewarding to become a special education paraprofessional in the East Helena Public School District. After 8 years of being a preschool teacher, prior to the birth of her children, Michelle was back working with her favorite population. This time it was working with children who had disabilities of all types, from psychological, emotional to physical. Michelle found this work so inspiring that after 5 years she decided to become a Family Support Specialist at Family Outreach, Inc. Here she began her home visiting career working in early intervention with children and their families in the state’s early childhood programs. In this capacity she was able to give families caring support and hope in some of their most challenging times. She realized how important it was for parents and children of all abilities be able to have the best opportunities to bond and attach and create healthy families and healthy lives. This is what would eventually lead her to Florence Crittenton and their Parents As Teachers program. Now she is a Parents As Teachers Educator and continues her mission of spreading hope and support to help all families grow and thrive! 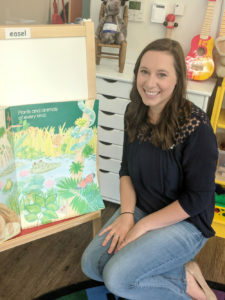 Molly Curry is the Lead Teacher for Florence Crittenton Preschool. Molly believes “it is easier to build up a child than it is to repair an adult.” This inspirational quote has always been in the back of her mind as she has traveled through her career in early childhood education. 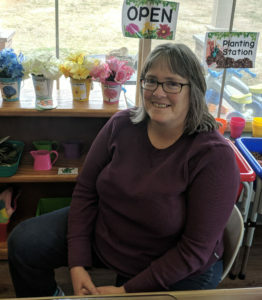 Molly began her career in early childcare in 1984 upon completion of several years of elementary education classes at Eastern Montana College, now known as Montana State University Billings. With over 30 years of working with toddlers, her experience has helped her evolve into a teacher who is capable of educating kiddos with compassion and knowledge. She strives to continue to learn, so that she can provide the best educational experience for children. She believes children learn best through guided play and is often seen playing alongside the kids in her class. She is excited for the opportunity at the preschool to help teach and nurture future generations. 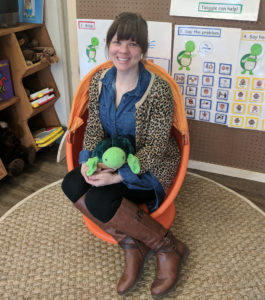 Sarah Mitchell is the Early Childhood Program Manager for Florence Crittenton Preschool and the Child Enrichment Center. Originally from Georgia, Sarah brings over 11-years’ experience in early childhood education. She received a BA in Psychology and M.Ed. in School Counseling from Valdosta State University. Sarah has developed a strong sense of devotion to supporting children’s development as a program manager of early prevention and intervention services. 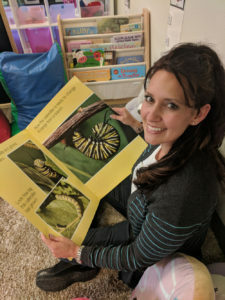 This experience has provided her with a deep appreciation for collaborating with educators, parents, and community partners to meet each child’s developmental needs. She believes early exposure to learning opportunities that are fun and engaging enhance children’s social-emotional, cognitive, communicative, and physical development. She is committed to providing a safe and nurturing environment where children develop a love of learning and feel a sense of belonging. Trisha Troyer is the Teacher’s Aide at Florence Crittenton Preschool. She is a native Montanan who grew up on a farm in the Northeast corner of our great state! Go Porcupines! When she’s not on the go with her husband and two young children, she is reading a book or working on a puzzle on her iPad. Her passion for kids began when she was younger. Growing up on the Fort Peck Indian Reservation, she realized there was a strong need for families and children to have access to high quality programs. For Trisha, access to these resources and services allows individuals to reach their full potential. She started her education at the University of Northern Colorado in nursing. Missing the Big Sky, she transferred to Montana State University and continued working towards her degree. Being a mother and seeing children grow to their potential led her to begin working with children. She is passionate about making sure that every child is afforded the right to equal and inclusive education.